Stella Young was born with osteogenesis imperfecta, a genetic disorder that made her bones fragile and easily breakable. She spent most of her life in a wheelchair. She was also a witty Australian comedian, a journalist, and a fierce disability advocate. She died in December 2014, at age 32, but spent her life changing society’s perception of disabled people. Young’s mission, which she advocated for again and again, was to show how disabled people are truly no different from the non-disabled. In her April 2014 TEDxSydney talk, titled “I’m not your inspiration, thank you very much,” Young examined society’s tendency to automatically categorize disabled people as ‘inspirations.’ She admitted that the label is often meant as a compliment, but that today’s society believes that “disability makes you exceptional and it honestly doesn’t.” Young shared a personal anecdote from her teen years, when a neighbor tried to nominate her for a local achievement award. It was a nice sentiment, Young admits, but the “one glaring problem” was that she hadn’t actually achieved anything out of the ordinary. “I don’t want to live in a world,” Young declared, “where we have such low expectations of disabled people that we are congratulated for getting out of bed and remembering our own names in the morning.” It is not the physical disability that can be the most challenging, she argued, but rather society’s perceptions and reactions to disability that presents the biggest hurdle to overcome. How can Young’s advocacy and bold messages apply to the hard of hearing community? If you view hearing loss as a disability, try to think of it in her terms—rather than something that disables, hearing loss is just a physical challenge to face head-on. 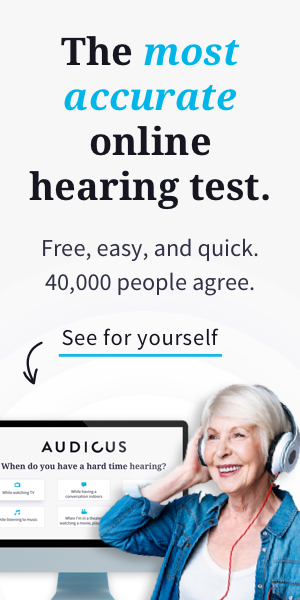 Think of hearing loss as similar to having poor eyesight, or being overweight: there are ways to manage and largely overcome these physical limitations. In her article, Young wrote that it took her years to understand and accept that “my body is not defective, wrong, or less than.” In fact, “it moves and feels and responds […] in exactly the same way those bodies which are given leave to claim such privileges.” Having a disability does not make you other, less than, an inspiration, or exceptional, and it was Stella Young’s mission to convince everyone in society of that fact.